After California voters passed Prop. 64 everyone knew that marijuana possession, consumption and how cannabis would be sold would change and end up being in direct conflict with federal laws. Where federal law and state law really seem to get crossed-up the most is at the state border, in particular at airports. 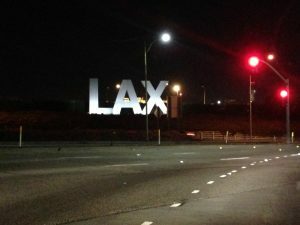 The most recent news that caught national headlines came out of the Los Angeles International Airport, better known as LAX, where state authorities said that legal amounts of marijuana would now be permissible at the airport. 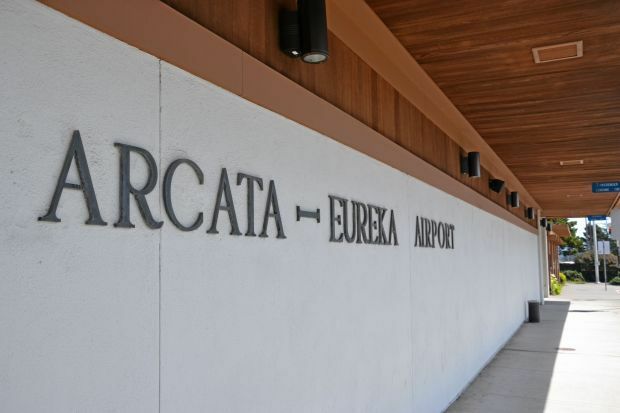 In Humboldt County, a place where marijuana has been famously grown for a long time, the local airport in McKinleyville responded in kind as well. People will be able to walk into the airport possessing the state legal amounts of marijuana on their person without repercussion. That is, until they try and get past TSA. The Humboldt County Sheriff, Samantha Karges, released a statement recently letting travelers know what to expect from local law enforcement. “In most cases, if you are discovered with the legal amount of marijuana or less at our airport, it is returned to the owner to destroy or get rid of, much like you are not allowed to bring in a full bottle of water through security,” Karges wrote in an email. It is important to remember that the TSA is a federal agency functioning under federal laws. Marijuana is considered a very dangerous substance according to federal law and crossing state lines even in states that have legalized adult-use marijuana can result in harsh penalties. The TSA’s job is not to arrest people, but they are not about to knowingly allow anyone on-board an aircraft with marijuana. The reality is that walking into an airport with marijuana in your possession on your way to catch a flight likely means that you lose the cannabis. There is little point in bringing cannabis to an airport even if it is within state legal limits no matter where in the state you are. California is now going above and beyond in implementing traditional best practices to the marijuana industry. California marijuana must now be lab tested and properly labeled just like any other product legally sold in the US. Until federal law changes though, there will always be a stark contrast between marijuana, a controlled substance, and nearly every other product. States like California are regulating the marijuana market well by providing consumers with detailed labeling, collecting taxes and slowly eliminating the illicit market. However, when it comes to air travel, it is unlikely that the consumption of anything through a heating mechanism will be permitted. Perhaps someday, marijuana edibles will be permissible if cannabis is ever rescheduled. Until then, marijuana is now available in 8 states for adult-use and 30 for medical use. Perhaps the strain of marijuana you are looking for will be waiting for you at your destination.